I am very happy with Viking pest control services. Their consultants are very efficient, they are always on time, and are very knowledgeable. Thank you for the review Mohit! Most efficient and courteous. But most of all, they get the job done - and done right. Thank you Peter this is an great review. We really appreciate it. Professional job done by very competent technicians. We are very pleased. Thank you Joe, we appreciate the feedback! Great service from Viking. I'm a first time customer and was very pleased with the quality of the service. I am very relieved that our home has been pre-treated as we approach spring and summer. I am a happy customer! Thank you for the great feedback Jeanne and welcome to the Viking Family! We are glad to have you. Paul Kaplan is awesome. so is Frank puncekar. I have no doubt Viking is getting new customers and retaining existing customers because of their professionalism and never give up attitude in resolving customer problems. Great excellent service all time. Thank you!! We appreciate that. Very fast service very reliable. Thank you for the 5 stars. We appreciate that. 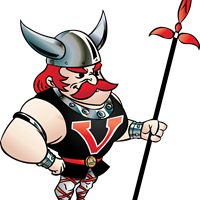 When I discovered that our home may have had bedbugs I called Viking Pest Control first thing on Monday morning and was able to get an appt for a free inspection that day! When Matt arrived at my home he confirmed my suspicion and set up a time for treatment to begin. He was extremely professional and answered all my questions at that first visit and in the weeks before the first treatment quickly and thoroughly. The two technicians who arrived for the first treatment were professional. Looking forward to completing the three treatments with hopefully no more evidence of these bugs! Arrive at scheduled time.Neet friendly workers.Would use them again. Thank you Robert. We appreciate the feedback.